Summary: A popular home meal delivery diet program. 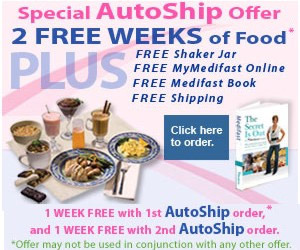 Medifast offers a free 2 week offer when you join Medifast. Medifast is a home meal delivery program. Meal delivery programs such as Medifast deliver all the food you need to eat for your diet direct to you. That includes breakfast, lunch, dinner and dessert. Medifast is a portion controlled, nutritionally balanced, low fat and clinically proven program that helps people lose weight faster and more effectively than traditional diets. How Medifast works is that it is medically created to create a calorie deficit, which then makes your body burn fat instead. 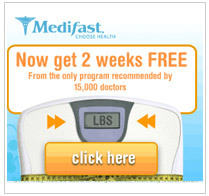 Most people who have used Medifast have lost an average of 2-5lbs per week. While Medifast is one of the more well-known meal delivery program, you can also consider Nutrisystem Advanced as another alternative.